The 2018 Mazda MX-5 Miata is a unique vehicle with a very small number of competitors, which is one of the reasons why we love it so much. This little roadster makes for an excellent sports car option with the added benefit of dropping the top down and letting the wind flow through your hair. Even though it doesn’t have too many direct competitors, if any, we wanted to at least see how it measures up to a similar vehicle, so we pit the 2018 Mazda MX-5 Miata vs 2018 Subaru BRZ. 2,332 lbs. Curb Weight 2,789 lbs. Despite their obvious differences, these two vehicles are quite comparable to one another. 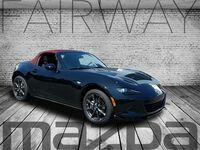 The Subaru BRZ may be an ordinary coupe while the Mazda MX-5 Miata is obviously a convertible, perhaps better known as a roadster, but both make excellent sports car options regardless of this. However, as you can see from the table above, each vehicle has its distinct advantages, and we’ll go through them a little closer to show you where each vehicle is superior to its competitor. We started off by looking at the fuel economy ratings of each vehicle, and the victor is clear. When driving through city streets the Mazda Miata can travel an extra 5 miles per gallon and hopping on the highway only drops that advantage to 4 mpg. That might not sound like a huge advantage, but it will actually lead to some pretty impressive savings at the pump in time. However, that does of course mean that the Mazda Miata is likely to give up some power to the BRZ, which the third row shows it does. To be more precise, 50 horsepower, which is a pretty good amount. 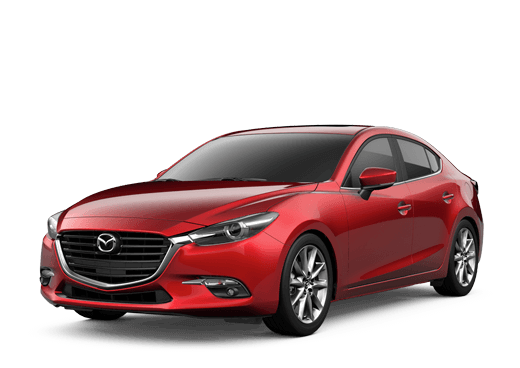 That advantage is slightly diminished by the fact that the Mazda Miata weights 457 pounds less than the BRZ, but not enough to eliminate it completely. If you’re okay with giving up some power in exchange for efficiency and the feel of wind in your hair, then you should definitely consider a 2018 Mazda MX-5 Miata of your own.